As a small child, my grandfather cast a very long shadow. He was very tall and stood with an imposing military officer’s posture. He used to point his fingers at whomever he was talking to in order to get a point across. His voice could command a room. Everyone respected him and seemed to know him where ever we went. The few times that I was left in his and my grandmother’s charge, I always felt that I was doing something wrong. 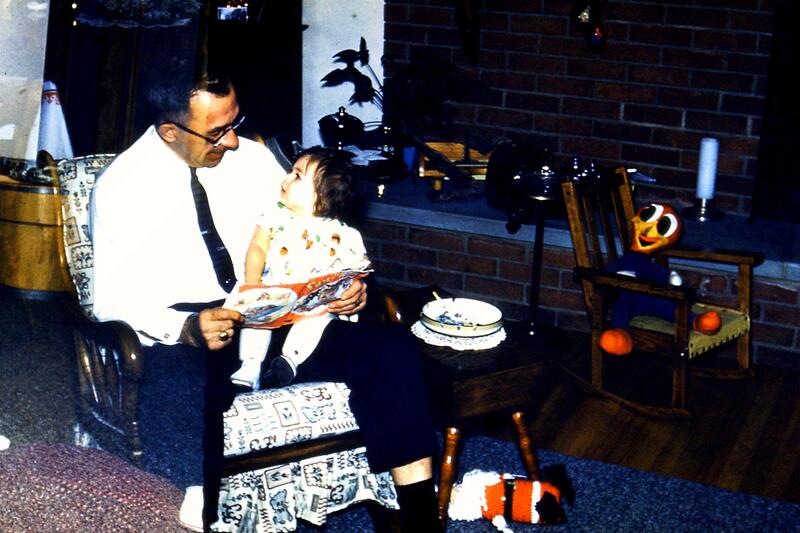 Apparently, I was too young to remember how he would put me on his lap and read to me like in the picture below. I knew he loved animals because when my mom and her siblings were young, they had dogs. He and my grandmother had a dachshund – Lisa – when I was little – she was the offspring of our mama dachshund, Gretchen and sister of Bridget. After Gretchen passed away, we bought another dachshund – Gretel (Bridget and Gretel in picture below). 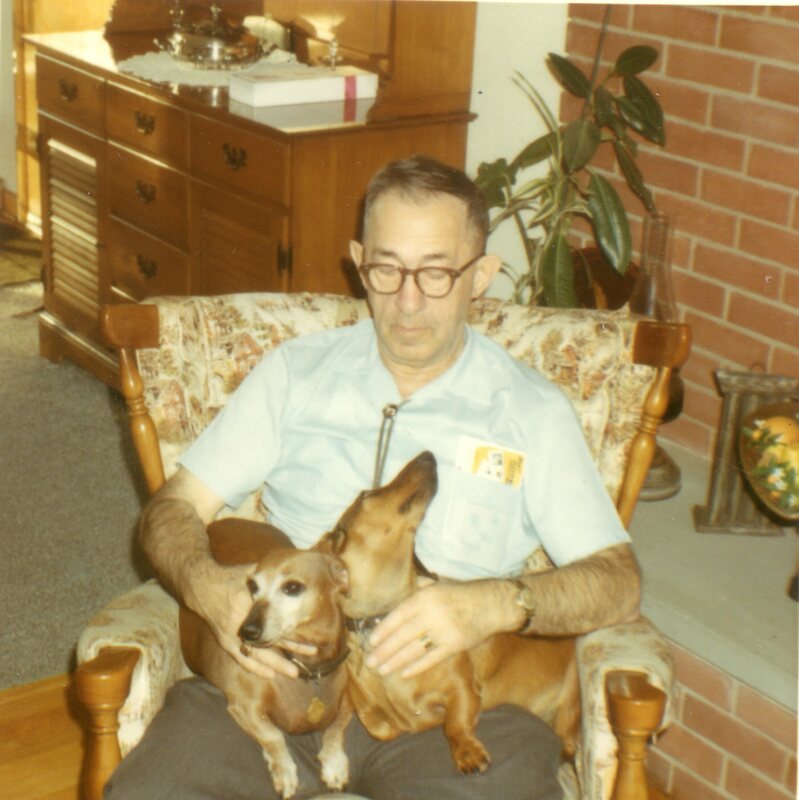 My Granddad enjoyed putting the dogs on his lap whenever he visited. 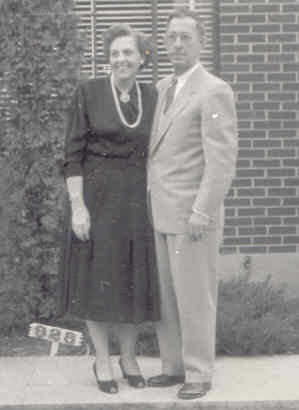 Glen Roy Johnson was born on November 21, 1898 in Anderson, Indiana to Katie (Blazer) and John Lafayette Johnson. In fact when his birth certificate didn’t even list his first or middle name. He had to send away years later – along with an affidavit from his cousin – to get an amended birth certificate. 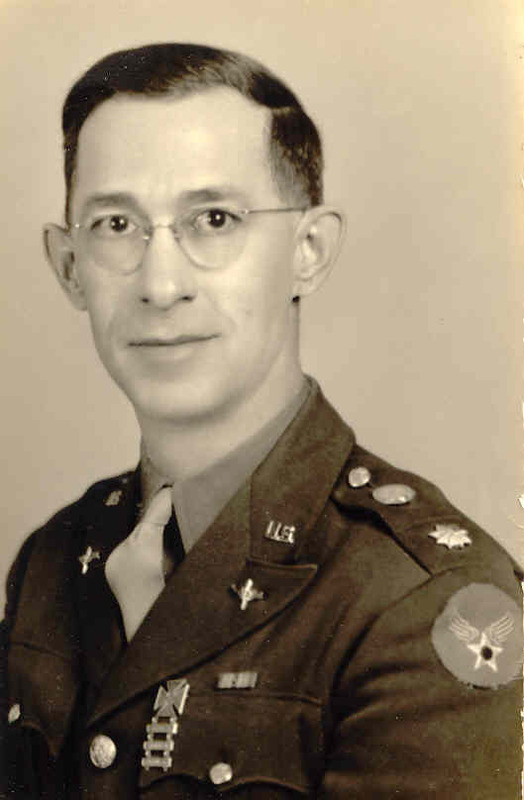 He went into Army Signal Corps at the age of 19 years old in 1918 and remained in the military until he retired from the USAF as a Colonel on December 1, 1958 – several years before I was even born. During his military career, he had been to France in WWI, Germany after WWII, and many other countries. He always considered the area of Fairborn and Dayton, Ohio his home as he had lived in that area since 1923 when not stationed somewhere else. That man – the retired Colonel of the Air Force – that was the man that I knew as a young girl. I don’t remember any jokes or any overly affectionate gestures. 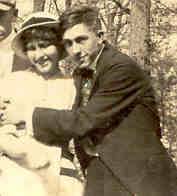 I wish I had know the man he really was – the man I met through letters he and my grandmother wrote to one another as teens who were dating and then later when he was so far away from her and their newborn son during WWI. I wish I could have been a party to the pranks and jokes he pulled as a young man. 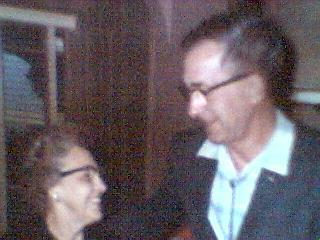 I wish I had looked more closely to see the deep love and affection he had for my grandmother. His letters always began “Dearest” and he signed them “your loving sweetheart” with tons of X’s and O’s for hugs and kisses. Love just seeped off of those pages. Finding that haul of letters – from their courting days through WWI through all the years they were apart due to his military service or my grandmother’s travels to visit relatives – I learned that the man that I thought I knew as a child was completely different than the man he really was. He loved – deeply. He could be hurt – deeply. He loved life – fully. He was honorable and ethical and funny! I heard stories from my mother about all the jokes and pranks he pulled as a young man. I wish I could have one day with him again so that I could talk to him as the man I now know that he was. 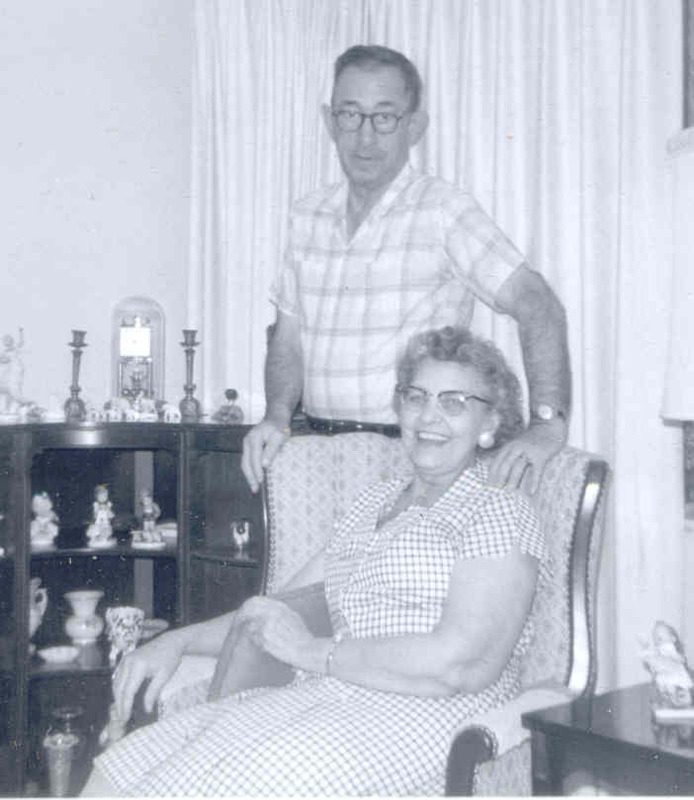 A few days ago I posted a photo of my parents that was one of my favorites, but when it comes to my maternal grandparents – I have many that I adore! The reason I enjoy looking at them is because in photos of just the two of them, their love for each other just radiates off the photo. Take a peek! On August 3, 1978 President Jimmy Carter signed a resolution proclaiming the first Sunday after Labor Day as National Grandparents Day (Wikipedia). 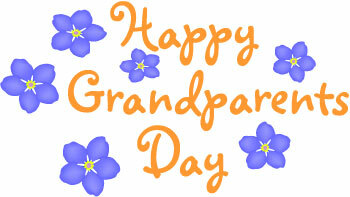 So if you are a grandparent – Happy Grandparents Day! If you are lucky enough to still have your grandparents living, make sure you give them a call today and thank them for all they have done for you! If you are a parent of young children, call your own parents to recognize them today. AARP has stated that “almost 7.8 million children are living in homes where grandparents or other relatives are the householders, with more than 5.8 million children living in grandparents’ homes” and “2.5 million grandparents are taking on the responsibility for these children” (AARP, Grandfacts, January 2014, http://www.aarp.org). According to the American Grandparents Association (AGA) the average age of first time grandparents is 48 (grandparents.com, Surprising Facts about Grandparents, AGA, 2014, http://www.grandparents.com). My family is a part of the statistics. Not only do we have three generations under our roof, but have been primary caregivers for one of our grandsons since he was a year old. 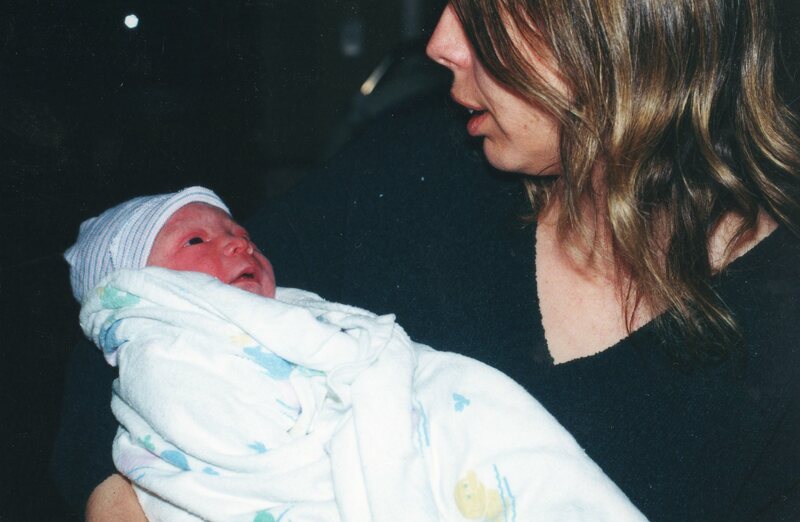 The day I became a first time grandparent! I was much younger than the average age the first time I became a grandparent at age 39. 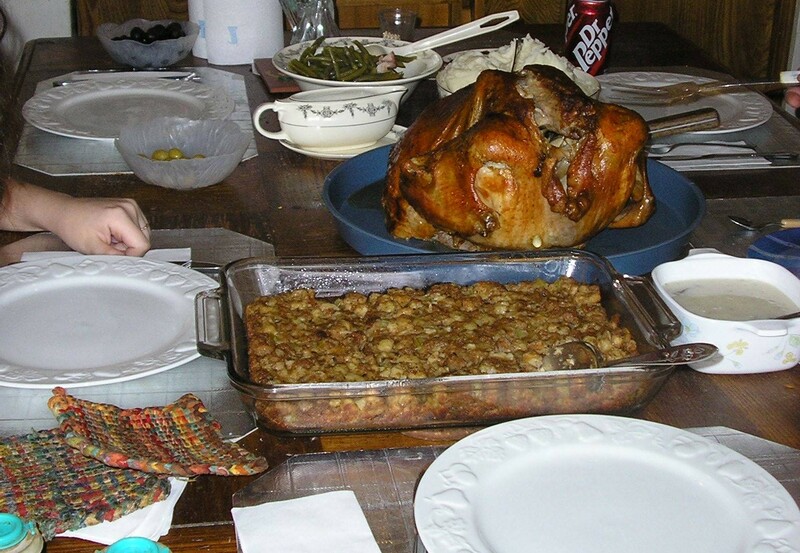 Too young to be considered a “grandma,” I decided that I did not want that as a moniker. I flirted with “Granny” but that was mainly because on the Robin William’s version of Peter Pan (“Hook”), Dame Maggie Smith was called “Granny Wendy” (and if you’ve read my blog for any length of time, you are aware of my affinity with “Peter Pan!”) My kids laughed at me and said it made me sound older than what “Grandma” would. As I had read in several publications about grandparents, grandchildren are the ones who eventually give your the name. I can still remember the day that I walked through the living room and my grandson said “Nana” and looked straight at me. So that’s what I am called by all the grandsons! My husband was not so particular – he was a Grandpa and that’s what he was going to be called. Well, my grandson could say the “pa” part so he doubled it. My husband became Papa! 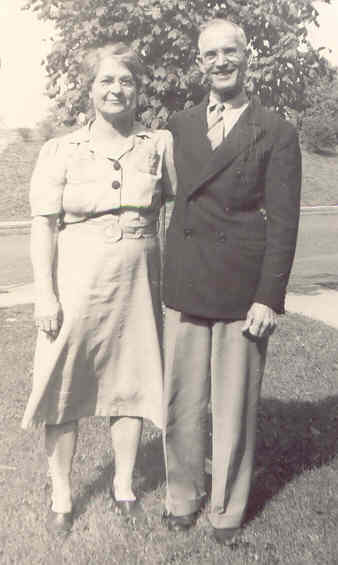 My paternal grandparents had passed away before I was born so I really didn’t call them anything – other than “Dad’s parents.” Of course, researching family history, I’ve become more personal with them and call them “Grandma” and “Grandpa” Amore – and sometimes their first names. One of my cousins is “Mimi” to her grandsons and her late husband was “Poppi” while another cousin (my first cousin’s daughter) goes by “Grandma” which is hard for me to believe that she is a grandmother! An older couple from our church use the German monikers of “Oma” and “Opa.” Someone I knew years ago called their mother-in-law “Honey” as her grandmother name. 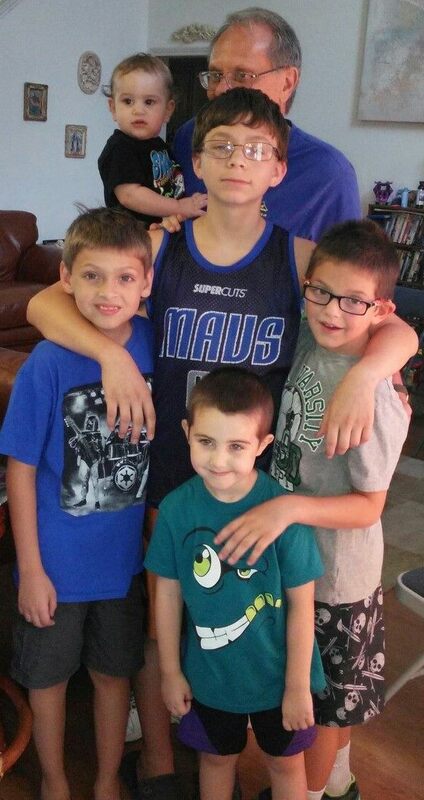 Papa with five of our six grandsons! It isn’t what a grandparent is called, it is the relationship. Two of my grandsons live in our home. Two others I see if not once a week then at least twice a month. Two others are our new grandchildren that we were blessed with upon the marriage of our daughter to their father. One is now away at college and the other we get see at least once a month. That is a blessing that we are so close to them, see them, and have a real relationship with them. So what are you waiting for? Call those grandparents – even the honorary ones (aunts, uncles, the older couple at church that has taken you and your family under their wing) – or grandparents – call your grandchildren! Without you – those grandchildren wouldn’t be here! I’m a day late, but thought I’d participate in Randy Seaver’s Saturday Night Genealogy Fun over at Genea-Musings. This topic was to post informaton about our 16 great-great-grandparents. 1. William Amore b. February 6, 1828 in Albany, N.Y. d. February 9, 1896 in Coshocton County, Ohio. On the 1880 Census, he listed that his father was born in England and his mother was born in New York. Nationality – probably English. 7. 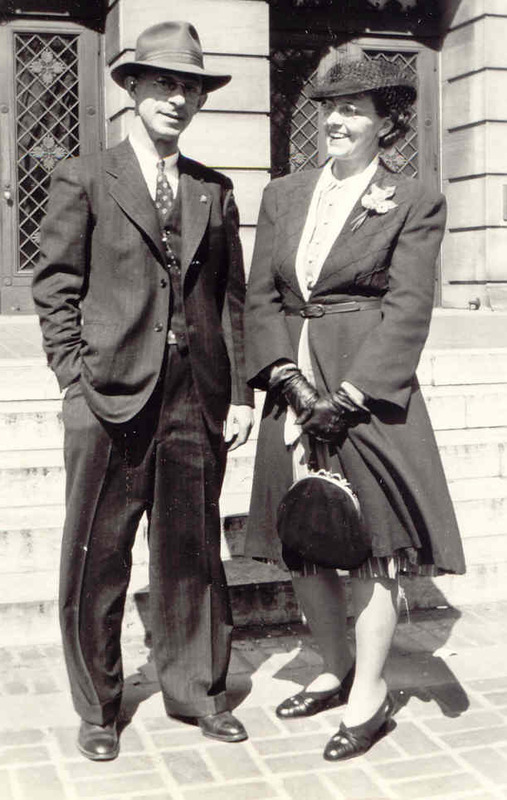 Evan Ogan – He was the Foster father of my g-grandmother, Frances Virginia Ogan. 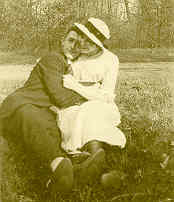 It is unknown if he was directly related to her. 8. Susannah Fritter – She was the Foster mother of my g-grandmother, Frances Virginia Ogan. It is unknown if Susannah was directly related to her. 9. James Wilson Johnson b. August 16, 1829 in Byrd Township, Brown County, Ohio d. October 17, 1917 in Anderson, Madison County, Indiana. Based on family lore – nationality is English. Out of my 16 great-great-grandparents, 2 of them are Unknown – the biological parents of Frances Virginia Ogan. It is highly doubtful that I will ever find out who they are since she was either farmed out or dropped on a doorstep as a small child. Four of them are of English descent. One is of English and German descent. Three are of Unknown descent. One is of Scottish descent and the remaining 5 are of German descent. Interesting facts: William Amore was the only one of my 2nd great-grandparents who was the 1st generation American. Most of my 2nd great-grandparents were born and/or died in Indiana or Ohio.